The best theatrical productions in the world are to be found in London's historic West End. 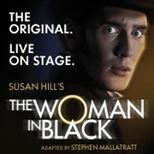 At Theatrebookings.com we have the pick of the best deals and cheap tickets for plays on offer. Our tickets prices are heavily discounted and in some cases you may even find tickets at half price. There are plenty of fascinating plays to see in the capital, including National Theatre favorites . What better way to spend an evening than in the company of Agatha Christie's record breaking production The Mousetrap. Whatever your preference, there is West End play for you at Theatrebookings.com. We have a wealth of information available for you to browse concerning plays in the West End. We gather information about creative teams behind the productions as well as historic background to individual theatre venues, plus vital transport links and Google maps for your discretion. For every little detail you need to enjoy a special outing to watch theatre plays and for the best available deals just click here.